Massage Therapy can help you with extensive soft tissue damage, injury, chronic disease, pain management, impaired mobility, and for common treatments to help stress relief and maintain well-being. Visit our groundbreaking website www.massageforlife.ca to explore all the benefits! Why must I fill out Health History forms when I see a Massage Therapist? Health History is the first step to allowing your Registered Massage Therapist (RMT) to understand your massage therapy needs as well as cautions or what may be referred to as contraindications* to treatment. With this information, along with educated questions and assessment, an effective and safe treatment plan can be developed. *Contraindications are specific situations in which a procedure should not be used because it may be harmful to the person. What is commonly referred to as relaxation massage is often what you think of when you go to a spa and where your goal is to leave feeling relaxed, to reduce tension, and minimize a feeling of stress. The clinical names for the basic massage techniques often used to achieve a state of relaxation are collectively known as Swedish massage. Some Swedish massage techniques are known to be more relaxing.Techniques like effleurage or petrissage when applied with appropriate pressure and direction will elicit a relaxation effect. These techniques are generally long gliding motions or kneading. Is “Relaxation” Massage different than Massage Therapy? Not when you recieve a qualified and administered treatement by an RMT. 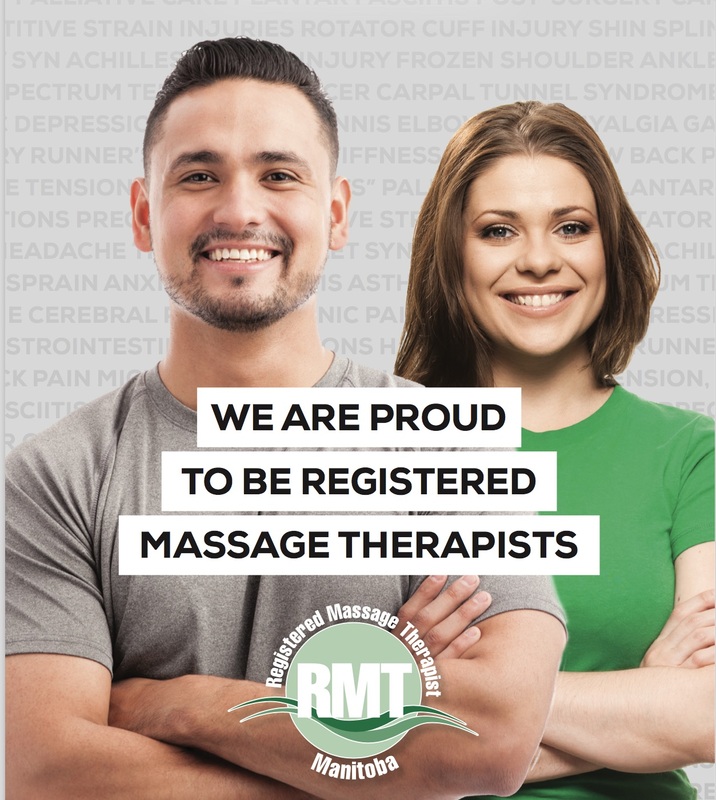 An RMT will assess your situation and have the tools to create the best possible plan for you whether it is for relaxation or for something like pain relief from a muscular strain. Buyer Beware: find out who is administering your massage. In some spas, salons and other settings, the person giving a massage may not be a Registered Massage Therapist. RMT's have a minimum standard of education and are bound to ethical and effective professional care. Others who do massage are not held to those same standards. So whether you need to relax or manage more specific pain, an RMT will assess your needs as it could be the case there is something more specific that needs to be addressed for you to reach that goal and that may require more complicated therapeutic techniques. What is “Deep Tissue” Massage? The term “Deep Tissue” is often used by clients when communicating that they want something more than light touch or pressure. When you ask for "deeper" or more pressure, that is just one cue to a professional RMT that your needs may be more complex. A deep tissue massage will be determined after the health history and assessment reveal your specific health needs and potential risks. Not only will an an RMT ask and be aware of cues for adjusting pressure, they will encourage you to express what you are feeling during the treatment with respect to pressure, discomfort or effect. Different people might request deep tissue massage, but their expectations will be completely different. This is something that needs to be determined with appropriate assessment and communication. Why is some massage accepted by my insurance health benefits and some not? Most major insurance benefit programs will only approve massage therapy provided by a Registered Massage Therapist who has graduated a full program to allow the treatment to be billed under the benefit plan because it increases the effective health benefits AND reduces the injury risks when a minimum standard of education has been achieved by the practitioner. This assures the insurers and the companies who provide your benefits that your health care is being managed by someone with minimum competencies and who is held to a high standard of care. Why do Massage Therapists assess as part of a treatment? Not all massage or body rubbing is considered healthcare or specifically therapeutic. One key differentiator is that therapeutic massage should include a fully-qualified assessment. An RMT is going to assess and is qualified to apply more than the basic Swedish techniques so that your treatment can be most effective. RMT’s will be able to evaluate other symptoms and correct your health issues more effectively using a larger number of modalities and techniques. Above all, RMT's want to ensure we do not injure a client as some situations could be contraindicated and having a massage from someone who has not been trained to assess this, could result in further injury or pain. Why is spa massage higher priced than the massage I receive from my RMT at a clinic? Spa massage treatments are often higher priced than massage therapy appointments in clinics as you are also paying for the atmosphere and other add-ons that come with a spa experience: value added service including light snacks and the time spent in a mineral spa, lounging rooms, or steams rooms.